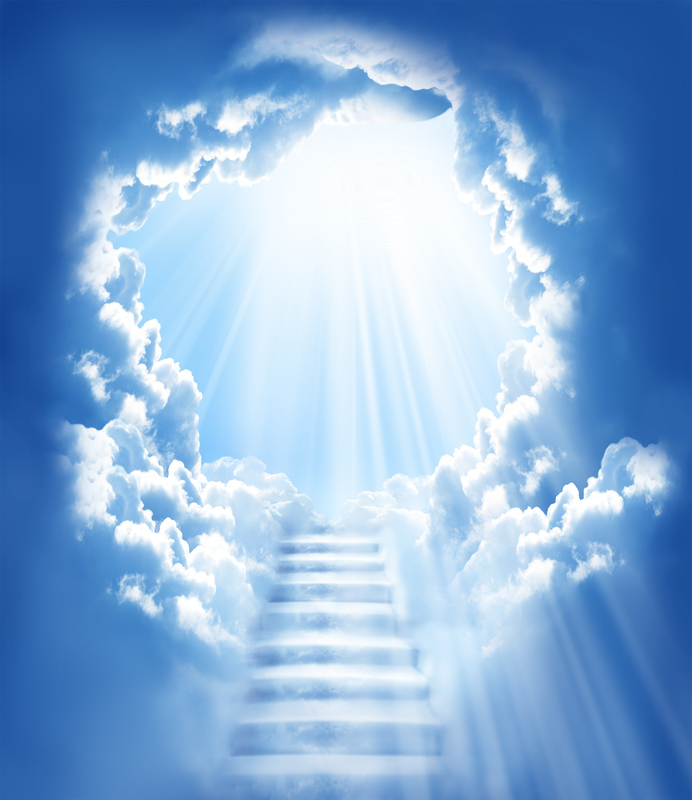 You opened your eyes and discovered something - A peaceful place, white clouds all around; a glorious white light ubiquitously spread; all hazy; someone clad in white appeared from nowhere. "You were on your way home and you died. And that's when you met me." "What! Where am I? I don't understand....."
"You met a fatal accident, on your way home, a truck skid and then the car accident happened. They tried to save you, all in vain." You exclaimed, "I....I died! Where is my wife? My children, are they fine? Who will take care of them? I want to see them." "They all shall be fine soon. Your kids will remember you always. Your wife will cry, but secretly relieved. Nevertheless, your marriage wasn't working well." "Oh. So what happens now, I will go to hell, heaven or something?" "Reincarnate.! So, the Hindus were right." "All religions are right my son." "What's the point, then? I will start again as a baby, a blank slate. So all my experiences of this life shall vanish." "Yes, you are nothing but a magnificent soul. You will be born as a Chinese girl to a farmer in 592 A.D."
"592 A.D., but that has already passed. You will send me to the past! What if I meet my future self then." "Its only you who is born and dies again. You have reincarnated numerous times. In this universe there are just you and me. You are my child, and I, your father." "Wait.. You mean I everyone, and everyone else is me. I am Abraham Lincoln... I am Hitler... I am Akbar.. I am Mother Teresa.. the street side beggar, and I am.... I am Jesus.. Ram......and....."
"Now you get it, my child." "Every time you victimized someone, you were victimizing yourself. Every act of kindness you've done, you've done to yourself. Every happy and sad moment ever experienced by any human was, or will be, experienced by you." "You mean I am god." "No, not now. You are a fetus, still growing, getting mature." "I am sending you on your way now." She lived in Oakland; Anna, the chubby girl in her mid 20’s was gifted with dimpled cheeks, curly hair and cat eyes. She was known for carrying a lovely smile and a pretty face. Deep inside, she hid profound grief; she was an orphan who lost her parents at the age of 11 and was brought up by her grandfather who also passed away about a year ago. After a tiring day at work, now at her plush apartment, Anna had her dinner alone, and went to bed. It was half past 10. Lying on her bed, she was feeling short of sleep due to numerous thoughts that crept her mind. She was hugging her favorite doll and her long term companion, whom she called Dolly. Turning on and off the table lamp beside her bed she was looking at the photo frame hanged on the front wall. The photograph was taken on her 11th birthday when she and her parents were out for a holiday, where her mother – a thin lady with her brown unkempt locks of hair, dressed in a pretty white gown was standing beside her father. Her father, a tall and fair man, had dimpled cheeks; she inherited hers from him! In the photograph, she was standing in the middle of her loving parents with Dolly in her hand. She recalled that her grandpa often told her the story of the true love of her parents. This comely thought was soon overridden by the flashes of the life changing incident that occurred to the family that night while returning home. She always wondered whether it was her fortune or ill fate that she was the only one spared alive out of that fierce accident. With a tear rolling down her eye, her cheeks turned pink and soon she fell asleep. The next morning she got ready for her office in a lovely pink dress with polka dots. She took the 9:20 AM bus to her workplace. As always, she reached the office by 9:45. Her closest friend for the last 3 years, Isabella called her to say she was waiting for her at the café`. Bella, as Anna called her, was a thin and tall young girl, not as pretty as Anna, had a dusky complexion and thin hair extending up to her waist. She and Anna shared a lot of similarities on one hand and evident differences on the other. Unlike Anna, Isabella had limited friends. Isabella lived in the town with her parents, grandparents and a younger brother. She belonged to a middle class family who had limited resources for their living. She said, with an alternate appearance of irritation and smile on her face, "Bella, I bet, you'll never change. You have such a weak memory!" It was 5 in the evening. Anna had already left for home, at her usual time. She took the 5:10 bus, reached home at 5:35, and changed her clothes. She played some soft music and sat in front of her parents’ photograph. She was unhappy today. It was the day when she lost her parents years ago, and also her birthday. Soon after, her phone ringed. It was an SMS from Bella. It read – “Need your help, come home soon.” Anna was worried on reading this. She tried calling back but couldn’t reach her. Without giving a second thought, she left for Isabella’s house in the town. It was 6:30 in the evening. She reached there by around 7 PM. She tried making calls to Bella throughout her transit, but couldn’t speak to her. This increased her anxiety. As Anna reached in front of Isabella’s house, a ramshackle cottage, the darkness of the dusk caused her difficulty in seeing the entrance. While she was rushing in, she accidentally bumped into Isabella’s pet dog. She recalled that Isabella told her the name of her pet was Rusty. Rusty began barking at her. This added to the procrastination. Within moments, she saw Isabella’s grandfather, a stooping old man with barely countable hair on his head, stepping out of the house, called Rusty towards him and directed Anna to the entrance. The door was already open, she peeped in. The lights of the hall of that small dwelling were off. A startled Anna turned back to see Grandpa and Rusty, but couldn’t find them there. She panicked and worried about her dear friend. Soon after she heard several people singing the birthday rhyme, “Happy Birthday to you, Happy Birthday dear Anna…” and the lights turned on. It was Isabella’s family in the room – her mother, father, brother, grandma, grandpa and Rusty in a corner! She couldn’t find Bella anywhere. She was gratified by this surprise but resentful that she was made to wait for the whole day. A scrumptious birthday cake was kept on a simple wooden table. She was glad to see the whole family offering a candid welcome. She had been missing this for years. The absence of her parents and her loneliness was filled by affection she received from the lovely family of her friend. A thought abruptly struck her, Bella could be seen nowhere. She asked Isabella’s mother about her. Her mother took Anna to the nearby room where Bella was lying, enervated. Anna was shocked to see her Bella in this condition, her eyes filled with tears. Isabella’s mother narrated to Anna, that her daughter had an asthmatic attack in the evening in spite of which she was desperate to celebrate the special day for her close friend, and willing to bear this ailment for her sake. Anna hugged her and broke into tears. She had no family, but Bella had. She was rich, Bella was poor. She was beautiful, Bella wasn’t. She made everyone smile, but was unhappy deep inside. Bella was in poor health but had the urge to bring back smile to her friend. Anna hugged her and realized that it was their differences which made their bond special and that there is nothing called misfortune, but the way you interpret what occurs to you. Just after the sunset and while the moon is about to appear, a few happy-go-lucky children with their after-Holi pink faces are playing on the garden grass. Some are rejoicing on the swings and others just talking. Alas! two little girls have started dancing. Funny though! The mixed voices of those young girls is reaching my ears from a distance. Some middle aged women are walking alone along the periphery of the garden, on the interlock-tiled floor in the calm breeze of this March evening. A few infants are accompanied by their parents or grandparents, supposedly for safety on the rides and swings. A secluded old couple is sitting silently on a bench. The temple door is open now. A toddler hopping with a tickle on her face just walked into the gates of the garden with her grandma. She waved goodbye to me after her grandma requested her thrice. Another lady, possibly in her sixties is standing in front of the temple, bowing to the god's idol. She must be tired through the day to walk up the staircases of the temple. Yesterday I went out to watch the Kangana Ranaut starer movie- Queen. No, this post isn't a movie review at all! For those who missed watching it till date; the zero melodrama plot is about a serene and innocent girl who, after being stood up by her fiancee finds some me-time in Paris and Amsterdam, and amidst which, gets to discover her confident self. While walking out of the hall, one feels refreshed even after shedding a silent tear clubbed with smile through all those 146 minutes! Take some time to live for yourself and not those around you. People come and go. Stay true, never transform yourself. You ought not to turn back and scream every time, they shall realize your worth by themselves. No one has as much right on you, as you yourself do. Break those handcuffs. You may not survive till hell freezes over, do what you have been longing for. Aspire, and relish your aspirations. 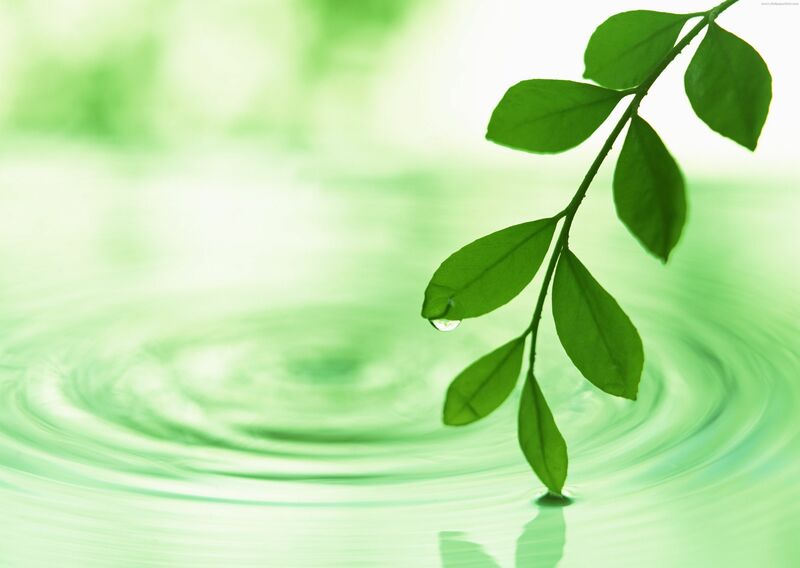 This time I have an interesting spiritual post - a conversation between Radha-Krishna! एक बार राधा जी ने कृष्ण से पूछा : "गुस्सा क्या है? " Once Radha asked Krishna - "What is anger?" बहुत खूबसूरत जवाब मिला : "किसी कि गलती कि सज़ा ख़ुद को देना!" She received a beautiful answer : "To punish self for someone else's mistake." राधा ने कृष्ण से पूछा - "दोस्त और प्यार में क्या फर्क है?" Radha asked Krishna: "What is the difference between friend and beloved?" 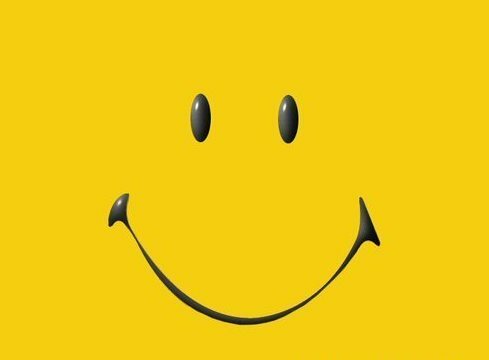 कृष्ण हँस कर बोले - "प्यार सोना है और दोस्त हीरा. सोना टूट कर दोबारा बन सकता है मगर हीरा नहीं"
Krishna laughed and said - "Love is gold and friend is diamond. Gold, if broken, can be recreated, but diamond can't." राधा जी ने कृष्ण से पूछा -"मैं कहाँ कहाँ हूँ?" Radha ji asked Krishna : "Where all do I exist?" कृष्ण ने कहा - "तुम मेरे दिल में, साँस में, जिगर में, धड़कन में, तन में, मन में, हर जगह हो." Krishna replied: " You are in my heart, breath, heartbeat, body, soul, everywhere." फिर राधा जी ने पूछा -" मैं कहाँ नहीं हूँ?" Then Radha asked Krishna - "Where do I not exist?" कृष्णा ने कहा - "मेरी किस्मत में!" Krishna said - "In my fate!" राधा ने श्री कृष्णा से पूछा - "प्यार का असली मतलब क्या होता है?" 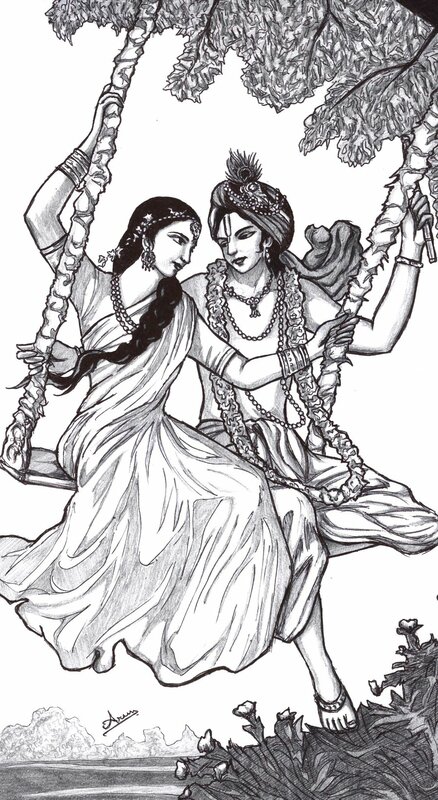 Radha asked Krishna -"What is the true meaning of love? श्री कृष्णा ने हँस कर कहा - "जहाँ मतलब होता है, वहाँ प्यार ही कहाँ होता है"
Krishna said amusingly - "Where there is a meaning (reason), there is no love." राधा ने कृष्णा से कहा - "आपने मुझसे प्रेम किया, मगर शादी रुक्मणि से की, ऐसा क्यूँ?" 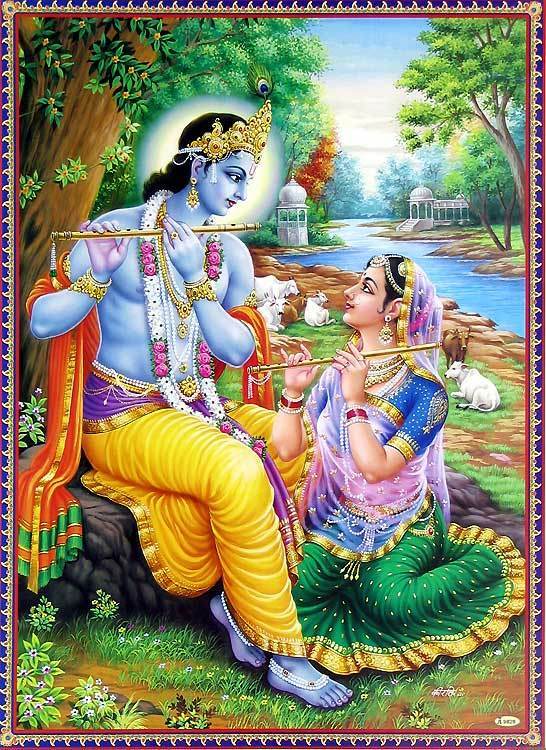 Radha said Krishna - "You loved me. but married Rukmani, why so? कृष्णा ने हँस कर कहा - "शादी में दो लोग चाहिए, शादी में दो शरीर और दो दिल चाहिए, और हम तो एक शरीर और एक जान है. तुम ही बताओ राधा और कृष्ण में दूसरा कौन है, हम तो पहले से ही एक है फिर हमे विवाह करने की क्या आवश्यकता." Krishna laughed and said - "Marriage needs two people, two bodies and two hearts, but you and I are one body and one soul. Tell me, who is the second amongst us, we are already one then what is the need of a marriage?" निस्वार्थ प्रेम विवाह के बंधन से अधिक महान और पवित्र होता है इसलिए राधा और कृष्णा निस्वार्थ प्रेम की प्रतिमूर्ति है और सदैव ही पुजनिय है. Selfless love is greater and pious than an alliance, this is why Radha and Krishna are idol of love and are worshiped eternally. Stay away from anger. It hurts only you! Never think hard about the PAST, it brings tears. Don't think more about the FUTURE, it brings fear. Happiness keeps you sweet. But being sweet brings happiness. If you earn your bread well.. There will always be people around you to apply butter..! !